In my opinion the most difficult part about foundation is not the application but getting the correct shade, once you have conquered that it is pretty much smooth sailing from there. I know a lot if not all of the "high end"counters will happily match you to your correct shade but what if you are popping into Boots or Superdrug (the drugstore if you live in the US/Canada)? My advice is go in store with freshly cleansed skin (take a friend or family member with you), swipe on three shades on your jaw line that you determine to be the closest match to your skin tone. Leave it on the skin for 15 minutes (this is so it has time to work with your natural oils et al) and the shade that is undetectable and that is the best match for you. There are so many foundations out there now but if I was to recommend one suit all (shade aside) formulation it would be Bourjois Healthy Mix Foundation. It offers good, buildable coverage is moisturising so that it is suitable for dry skin yet not not overwhelmingly so, even my oily skin adores this formula. Cheap, cheerful and pretty long lasting. Before application I thoroughly recommend Max Factor Facefinity Primer - this smooths out the skin, encourages make-up to stay in place and offers and SPF protection too. A great all round foundation brush be it powder, cream or liquid has to be the Real Techniques Buffing Brush. This is a flat top, dense brush that makes light work of foundation blending, is reasonably priced and will last an age. In all honesty other than the Real Techniques Travel Brushes (those pop up brushes) there is not a brush I wouldn't re-purchase. Masacra? Pfft forget it! What one person deems to be a holy grail the other will shot down on the spot. 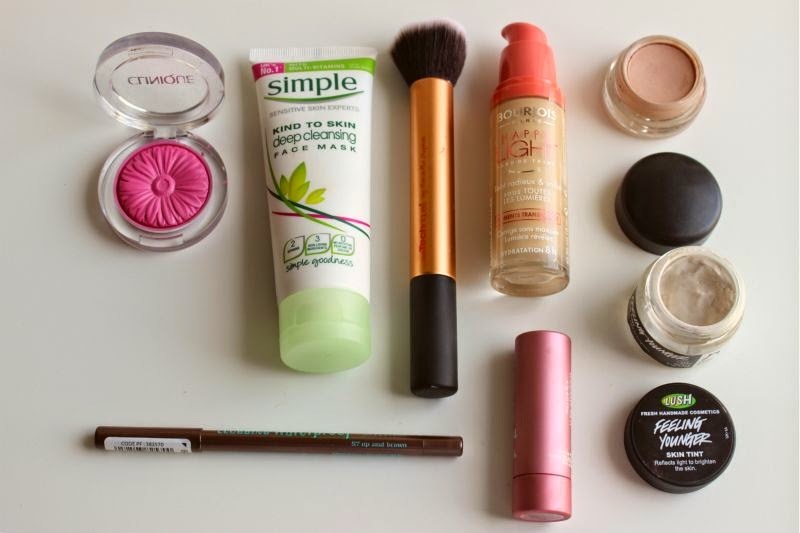 The truth is you will most likely have to try several brands and formulas before you find one you like. However eye make-up is slightly easier my two effortless yet polished picks go to MAC for their Paint Pots - a creamy, pigmented eyeshadow that can be used as a base for powder eyeshadows, worn alone and depending on the shade you choose even a gel eye liner. If you have a light to medium complexion I personally recommend the shade MAC Painterly Paint Pot not only is a great base or wash of colour but it also neutralises any redness or veins. I've been wearing make-up since I was in my really early teens (over 10 years now) and I'm still not entirely confident when it comes to eye liner. For feline flicks I kid you not I need to set aside a good half an hour or so to neaten and perfect, it will come of little surprise that this is not a look I rock all that often. One eye liner I have found to be super easy to apply in a general sense is the Bourjois Contour Clubbing Waterproof Eye Liner. I tend to wiggle a little on my top lashes to create the impression of thicker lashes. The beauty of this eye liner is that it blends out so well making it super easy to create a smoky look in seconds but once this formula sets it is going nowhere! I personally rate the shade Up and Brown as it is less harsh than your standard black and more forgiving should you make a mistake. I apologise that not everything featured is as budget friendly as I would have liked but sometimes you do have to pay a little more for quality and in this case ease of use. 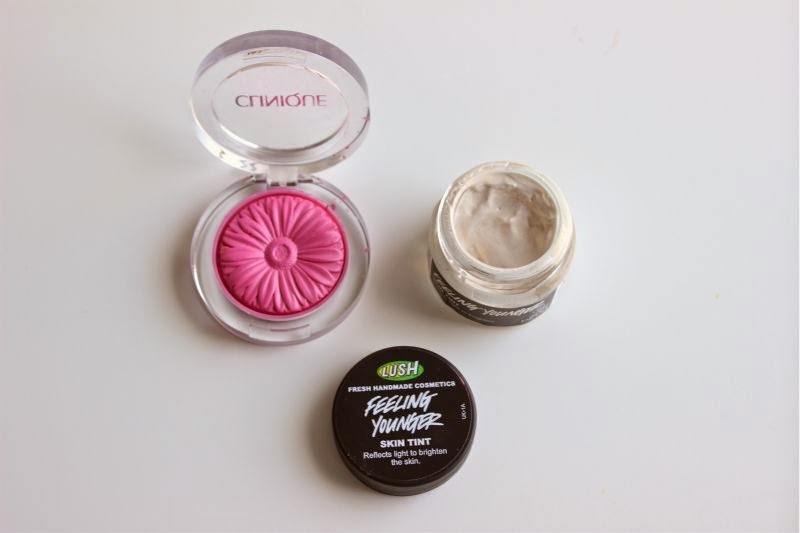 The one blush I have in my collection that suits all complexions and is a dream to apply goes to Clinique Cheek Pop in Plum Pop. Yes it looks scary bright in the pan but this soft focus powder not only creates a light flush of pink on the cheeks with one quick swipe but it does not collect in pores nor dry patches. It brightens yet doesn't look scary (or clown like) and should you have a deeper complexion you can add a few layers without it caking or looking heavy. Not everyone will want a highlighter which is totally understandable but if like me you have dull skin you really do need to try out Lush Feeling Younger Skin Tint. Yes this is a thick cream which may put some off but as long as you take a less is more approach you will find it difficult go to wrong. I quickly dabble a little on my cheekbones, blend using patting motions and job done. As this is a cream you can easily add a little to your foundation to create an all over glow. Technically speaking tinted lip glosses should suit all but most lack pigmentation and don't really rank all that highly on my must have list. I appreciate that Fresh Cosmetics stockists in the UK are few and far between but if you can source the brand snap up the Fresh Sugar Petal Lip Treatment. This deep pink has a neutral brown undertone meaning the shade looks great on everyone, it has great pigmentation and highly nourishes the lips. I can't recommend it enough. Skin care is like perfume totally subjective but one item in my stash that will suit all skin types is Simple Deep Cleansing Mask. A gentle yet deeply cleansing mask, on the skin this feels very akin to a cream cleanser despite being clay based. It removes dirt deep in the pores. At the moment my skin is rather sensitive and this mask does not further irritate - this is gentle enough for young skins too. Loving bourjois healthy mix and RT buffing brush combo too! It doesn't really cling to dry patches and at at the end of the day my oily skin is not too shiny. I've been using Bourjois' Healthy Mix for years now. It's really amazing. Although I do like the Serum version even better for my dry skin. This is a really nice post. I recently did a "no-makeup makeup" look on my blog, and so far that post has received more response than any other post I've had. I received comments and messages from women thanking me for showing them that post. 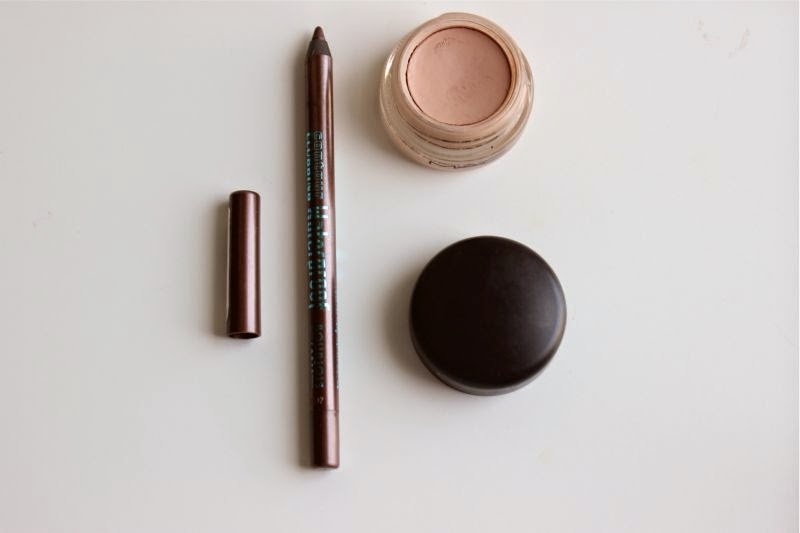 I think I didn't take into account that some of my readers would need help with beginner's makeup, so now I'm going to start a "basics" series. i just got the bourjois foundation and really like it! Great post! You made wanna try the bourjois eyeliner! 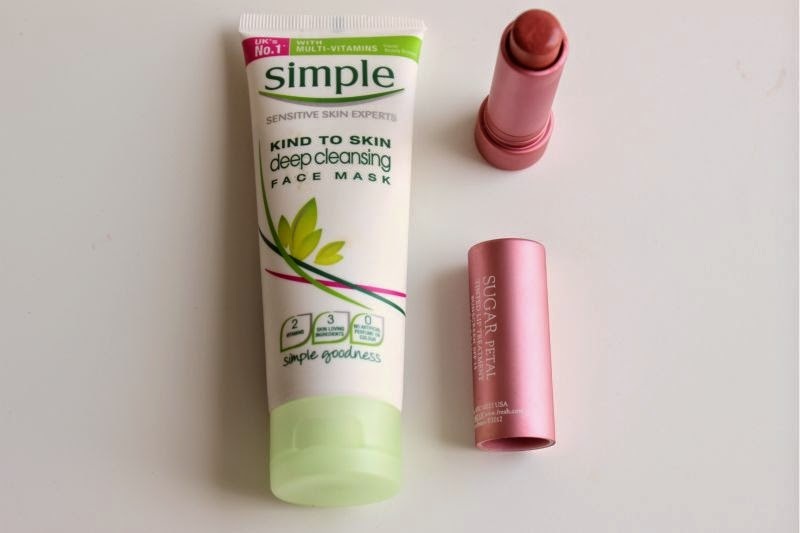 lovely post :) I love using the simple deep cleansing face mask! 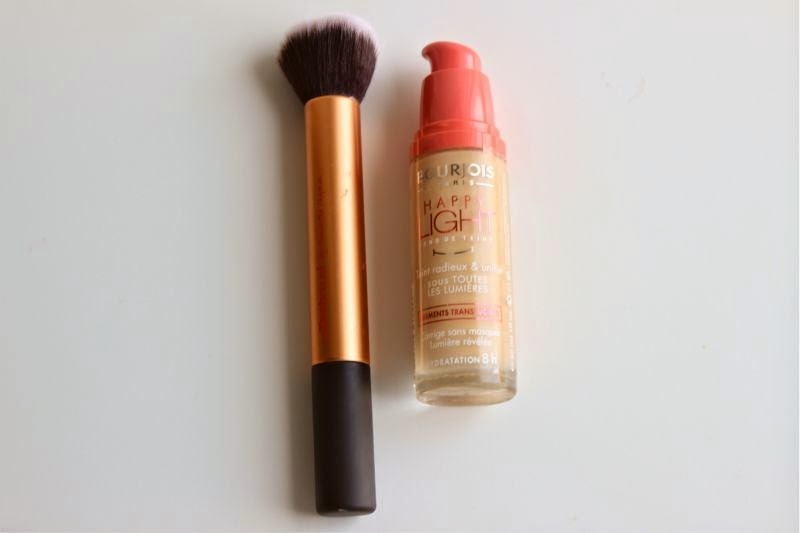 I used Bourjois Healthy Mix for a number of years - it was a great starter foundation, and you can't go far wrong with it. It even smells good! Occasionally I use it in summer still, if i'm just wanting a light but even coverage. I haven't tried a lot of these products. Thanks for sharing! I think I might have to go a buy the Lush highlight. It sounds gorgeous! That foundation is on my list, want to try it very badly! Hehe! Great group of fool proof items! I can't wait to get my hands on the Sugar tinted lip balm in Petal! the Lush Feeling Younger is my definite next purchase - it looks really nice! :) really nice post, thank youuuuu! lovely more personal post, enjoyed reading through this one ! I don't know what I would do without my painterly paint pot and you're right it's perfect for covering redness and veins. I've actually started using it under my eyes before I use concealer because i have really bad dark circles and it covers them perfectly. Its a makeup essential. Great post! I love Mac's painterly pot for that exact reason! I need to try that face mask too. I love the Clinique cheek pops they are gorgeous products (I have every colour, lol).